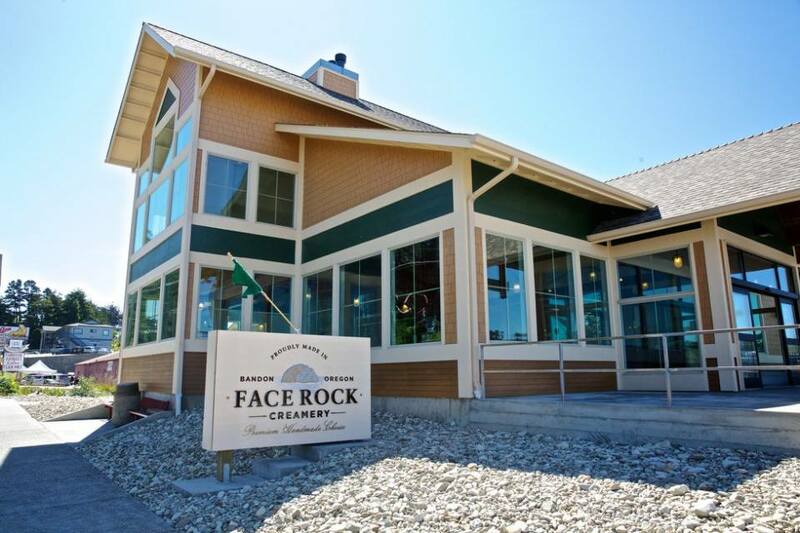 Face Rock Creamery steps up for Bandon’s 4th of July. In addition to being a sponsor for the fireworks, they will be one of the 19 wine stops for Alive After Five! Alive After Five will run from 5 to 7:30 in Old Town Bandon. Enjoy food, refreshments, music, art and bargains at Alive After Five. A wine walk is one of the highlights of Alive After Five To participate in the wine walk, commemorative glasses and walking maps will be on sale for $10 and will. be available at Picnic Shelter on the Port of Bandon’s Boardwalk or at Stillwagon Distillery tasting room in Old Town when the event starts at 5 PM. And don’t miss this year’s Cardboard Boat race at 3 PM at the boardwalk. Also, the apple pie and ice cream feed can be found on the boardwalk near the picnic shelter. Come by either after lunch from 1 to 4 PM or after dinner before the fireworks from 7 to 9:30 PM. A donation of $5 will help us light the Community Christmas tree this winter and provide Music in the Park on Sundays in August. It’s all happening in Old Town Bandon on the 4th of July.